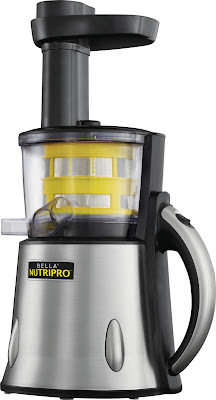 I was recently contacted to try one of the new Bella Nutripro juicers. I'm sure that you have heard all of the rage about juicing and actually, I had never tried it until now. I was quite excited to finally get to try out a juicer! The first thing that I started to do was research different juice combinations so that I could decide what to try. I through it all into the NutriPro and let it do its magic. Out came a delicious juice! It was sweet with some tartness from the grapefruit. 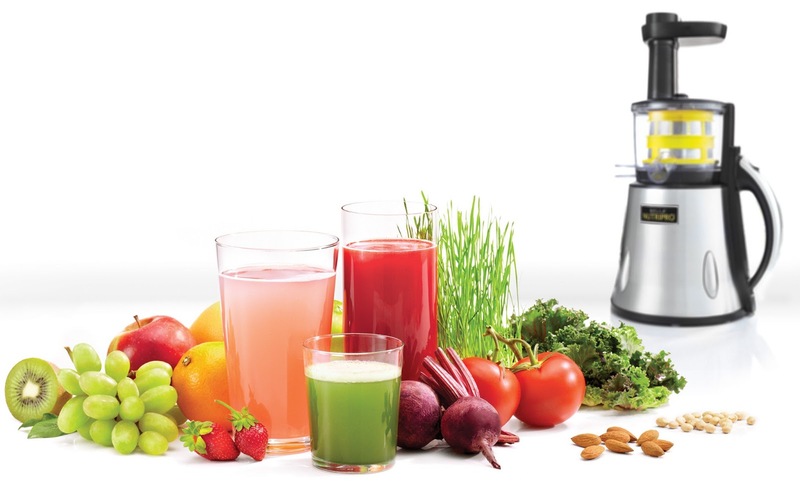 Something great about the NutriPro is that more juice comes out than any other juicer. This is great to help save money and not to waste your fruit and vegetables. As a dietitian, I see that some people eat little to no fruits and vegetables on a daily basis (sad but true). A great benefit of juicing is that it makes it very easy to hit your daily fruit and vegetable quota. If you are someone who does not like to eat a lot of produce, I would definitely recommend juicing. Juices provide a drink that is high in vitamins and minerals making it a smart choice. For tons of recipe ideas, check out NutriPro recipes. 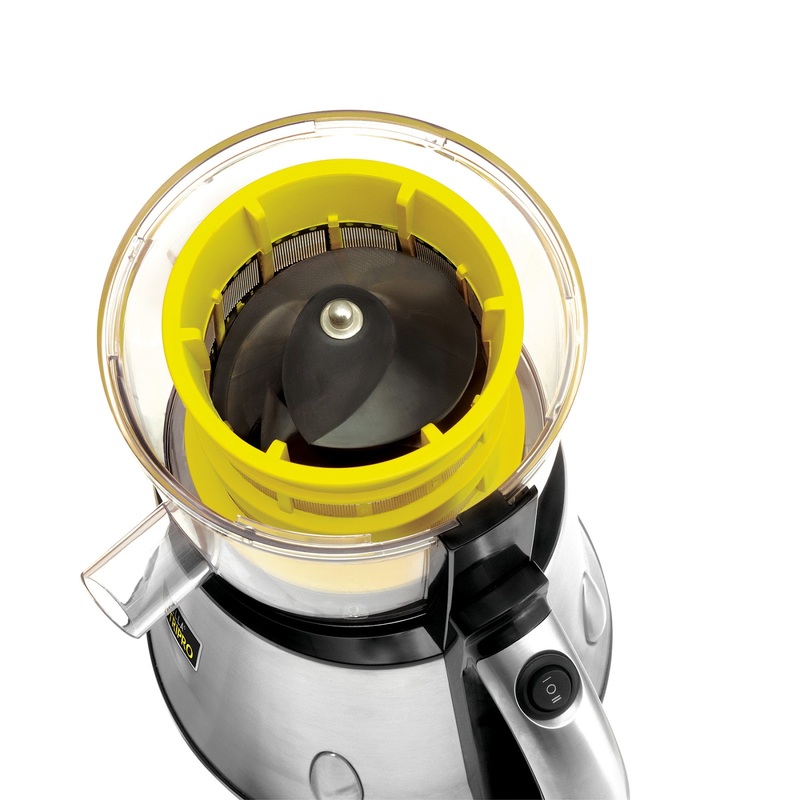 With the NutriPro juicer, users are able to get more juice and more nutrients for optimal health and wellness than other conventional juicers by thoroughly squeezing each fruit and vegetable. The Bella NutriPro Cold Press Juicer utilizes a two-stage cold press juicing technology that operates via a chewing (mastication) method to produce high-quality juice from each fruit and vegetable. The single juicing screw in the processing bowl first crushes, the compresses and squeezes out the juice. There are no fast-spinning blades that cut and pulverize the fruits and vegetables to produce juice. With the no-blade, cold press technology, oxidation is minimized, no heat is used, and more nutrients and enzymes are preserved. A common complaint I hear about juicers is that they are a pain to clean. This one is not too bad. It is dishwasher safe which makes for easy clean-up. I also like that it looks so nice on my counter and matches with my other appliances. It is said not to be as space requiring as other juicers. The NutriPro seems to be a high quality juicer. It can be purchased on the NutriPro site and retails for $249.95. While I love my new juicer, I have to be honest about a couple of things. I do prefer smoothies because it does not take the pulp out which provides extra fiber. Also, I like to eat most of my calories and try not to drink too many.